Let’s Begin your own Job site with our Naukri Clone Script. It is coded using PHP and MySQL database. Naukri clone is a complete script for those who need to run an expert Job Board site with all the highlights. This script is designed and developed for best customer experience, so your job site will get recurring users. 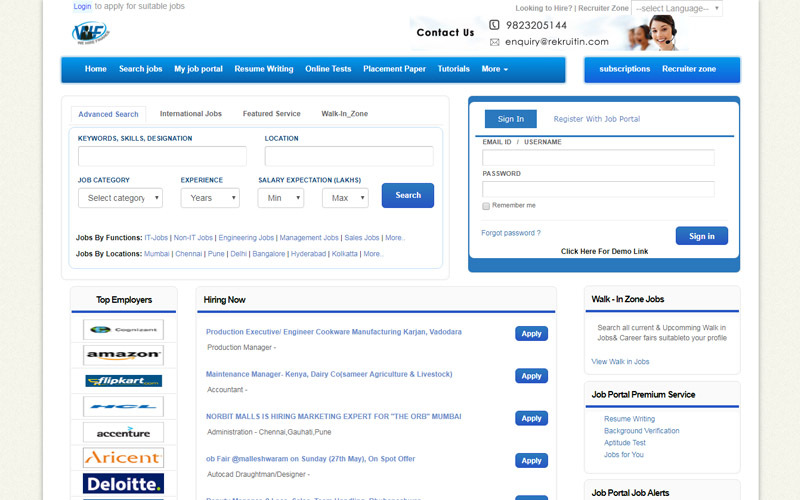 This Shine Clone Script is a progressive PHP script, let you to make Job portal, with more highlights. With the professionally created naukri clone script you can have options to post Jobs and utilization with new Features.